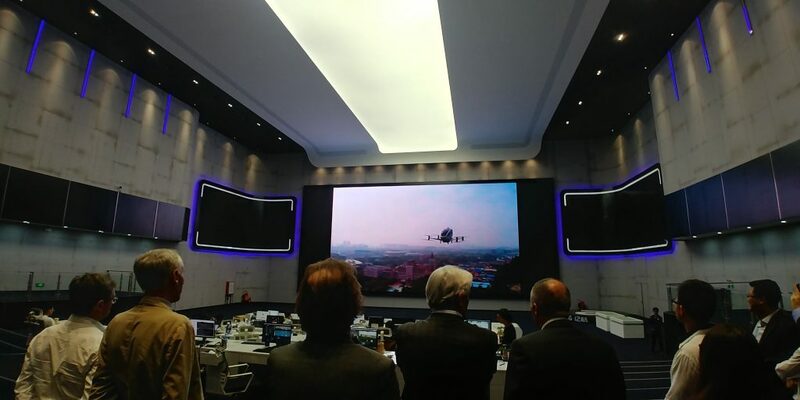 Ehang, established in Canton in 2014, is a leader in the development and sale of commercial drones and taxi drones, and it has selected Lyon as the location for its first European R&D centre. The company received the support of Aderly to set up its first strategic development centre outside of China, to target Western European and North African markets. It will also perform hover flight tests at a dedicated site. The arrival of Ehang should lead to the creation of 50 jobs over 3 years. “Ehang is one of the world leaders in the development and sale of commercial drones, taxi drones dedicated to passenger transport, as well as drones as a solution for traffic congestion in major cities. The establishment of the Ehang Group in Lyon confirms and demonstrates the city’s innovative positioning, and its increasing involvement in new mobility and cutting-edge engineering.” said David Kimelfeld, President of Metropole de Lyon. The arrival of Ehang also highlights Aderly’s prospection drive to recruit Chinese companies with the help of its new Asia Desk, created in January. It also demonstrates the relevance of international cooperation, as Ehang is a flagship company in Canton, which has been a partner city of Lyon and Metropole de Lyon for 25 years. Indeed, in May 2018, the President of Metropole de Lyon and the Mayor of Lyon, took a large delegation on a 10-day tour of 4 Chinese cities; the delegation included teams from Aderly. The business meetings that took place, such as the visit of the Ehang headquarters, made it possible to establish a crucial contact with its management team, which Aderly successfully convinced to choose the Lyon area for its European development. It is worth noting that China is the 6th largest foreign investor in the Lyon area. 23 companies with Chinese capital are located in Lyon, including Elkem Silicones, a subsidiary of the Chem China group, and Yingli Green Energy, a world leader in the manufacture of photovoltaic components.